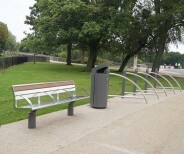 The Hartecast portfolio of seats and benches combines, top quality materials with exceptional design. This prestigious collection is contemporary in form and robust in construction. 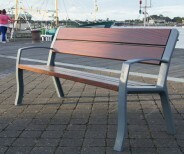 Our range of materials for our seats and benches includude cast iron, ductile iron, stainless steel, hardwood timber and composite timber are available with or without back support. 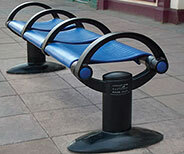 Our seat and bench range is suitable for all environments in the UK, extremely vandal resistant and low maintenance. They have the strength required for all outdoor furniture applications and specially designed to cater for all weather conditions.